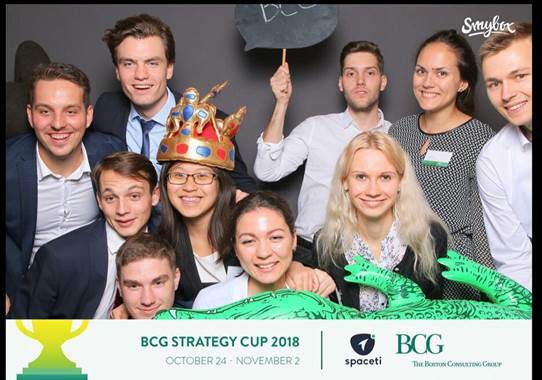 On Friday November 2, 2018, our CEMS students participated in the final round of BCG Strategy cup with Spaceti. 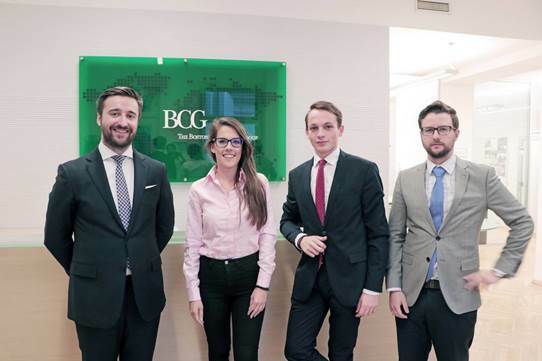 In the beginning of the case competition appx. 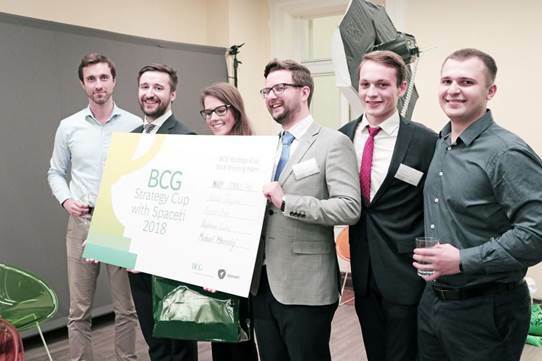 40 teams from Czech and foreign universities registered, out of which 5 got to the final. 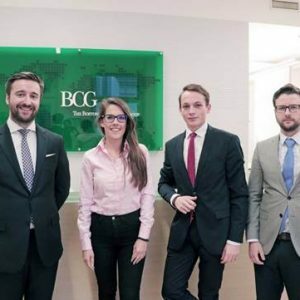 Moreover, 3 of the final teams included CEMS Prague students. 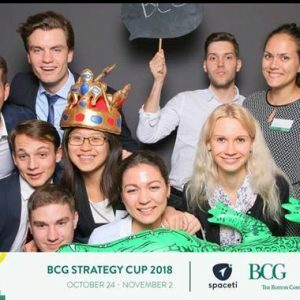 Team “Corporate punishers” with CEMSies Jaroslav Friedel, Nadiia Abdullaeva, Serhiy Bobrytskyy and Ekaterina Efremova placed second. 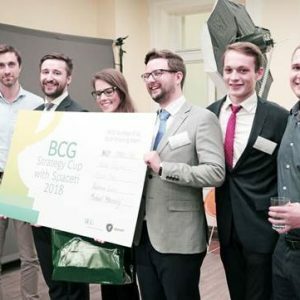 The winning team “NVRM Consulting” was composed of CEMS student Vojtech Brix (CEMS), Natalie Forejtova (LSE), Michael Minovsky (UCL/CVUT) and Radovan Lukac (UCL). 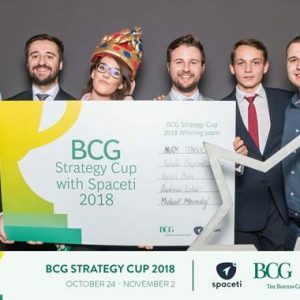 In addition, CEMS alumni Max Verteletskyi is the co-founder of Spaceti, a fast developing proptech start up in cooperation with which the cup was organized. 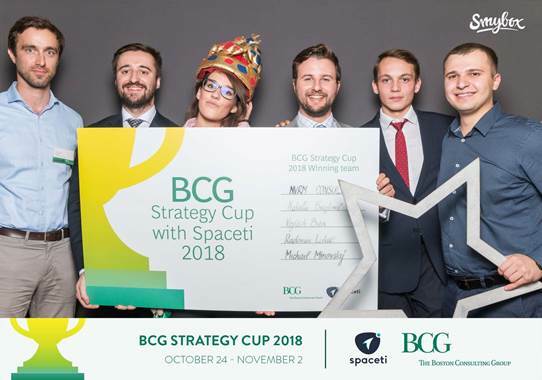 Congratulations to all participants and the winning team!